SANTA CANDY BOWL is sure to serve a belly-full of cheer at your next Christmas party or gathering! 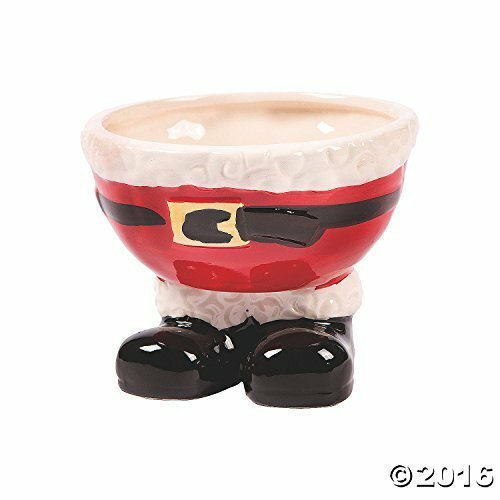 Make a festive addition to your yuletide table with this jolly, glazed ceramic bowl in the shape of St. Nick’s ample midsection. Perfect for holiday candies, cookies, nuts, all your favorite treats. Measures 4-1/2″ H x 5-1/2″ diam. and holds up to 2 cups worth of goodies. Hand wash.Fill with sweet treats for the yuletide season! Fill it with candy, confections, brownies, candy canes and more!